a variety of categories such as, but not limited to, classic top 40, dance oriented rock, Latin, classic disco, reggae, and classic rock. All duties and responsibilities are to be performed in accordance with Royal Caribbean International’s Gold Anchor Standards, SQM standards, USPH guidelines, environmental, and safety policies. Each shipboard employee may be required to perform all functions in various venues and throughout the ship. 2. Maintains up-to-date musical inventory for a variety of categories such as, but not limited to, classic top 40, dance oriented rock, Latin, classic disco, reggae, and classic rock. Prepares and submits monthly CD order form to replenish stock or update current inventory. Maintains and supervises music playing equipment. 3. Serves as mater of ceremonies in various lounges or nightclubs throughout the vessel. Operates music and video equipment to produce a mixture of dance music and video clips for a variety of categories such as, but not limited to, classic top 40, dance oriented rock, Latin classic disco, reggae, and classic rock. Motivates the audience and maintains an awareness of the demographics and their reaction to the selections being played. Makes adjustments to capture their attention. 4. Prepares and submits on a timely basis, all required reports. Prepares all reports utilizing the computer equipment. 5. Participates in shows and events presented by the Cruise Director’s Division by taking part in skits, and/ or simple dance routines. Instructs, organizes or facilitates various activities and/or tournaments. May serve as master of ceremonies for activities. This includes the Welcome Aboard Show, Farewell Show, Cruise Staff Cocktail Shows, and out island activities. 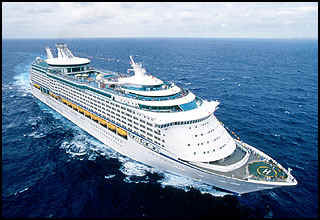 Voyager class shipevents include Royal Promenade, and Studio B. 6. Participates as master of ceremonies or host for special group functions such as, but not limited to, charters, affinity, promotional, incentive, presentations, and various theme night arrangements. 7. Operates spotlight equipment for production shows according to instructions as needed, when stage staff are required to perform duties backstage. Attends mandatory rehearsals as required. Assists in the coordination of audio or visual equipment for events as needed. 8. Assembles and disassembles pre and post activity props and equipment. Returns items to storage area. 9. On Voyager class ships, programs and plays music as needed for Royal Promenade events. 10. 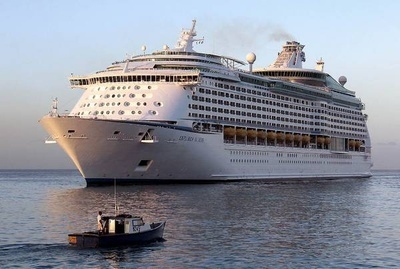 Participates in embarkation and debarkation procedures by disseminating information, and directing and escorting guests to staterooms and or exits. 11. Attends meetings, training activities, courses and all other work-related activities as required. 12. Performs related duties as required. This position description in no way states or implies that these are the only duties to be performed by the shipboard employee occupying this position. Shipboard employees will be required to perform any other job-related duties assigned by their supervisor or management. Professional Disc Jockey experience with the ability to motivate an audience based on their demographics. Ability to operate a variety of music audio equipment. Ability to apply customer service skills, according to Royal Caribbean International’s Gold Anchor Standards, when interacting with guests and coworkers. Tax-free salary is paid every two weeks. Starting rate is 1,720$ per month.